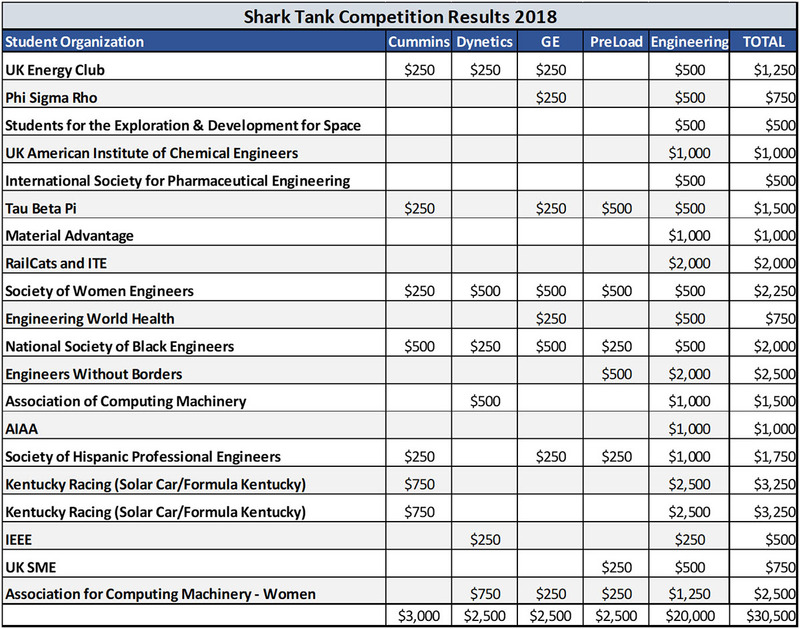 On September 6, the University of Kentucky College of Engineering held its first Shark Tank Student Organization Competition. 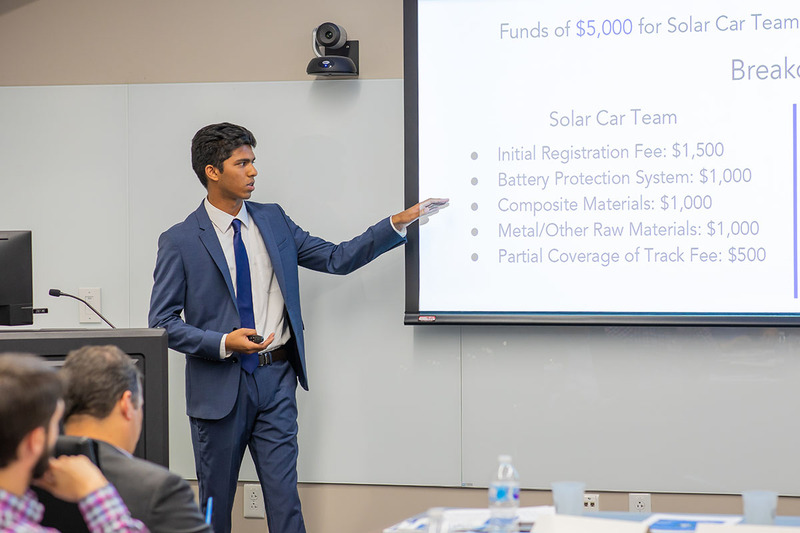 Twenty engineering student organizations pitched to six sharks for investments totaling $30,500. Each student organization had 15 minutes to make their pitch for funding. Initiatives included outreach events, professional development opportunities such as conferences and infrastructure needs. Organizations pitched at different funding levels depending on their initiatives. The “sharks” consisted of two representatives from the UK College of Engineering, Dynetics in Huntsville, Alabama, Preload and GE Appliances—both from Louisville, Kentucky—and Cummins in Columbus, Indiana. For several years, Cummins had held a “sponsorship day” similar to the shark tank competition. After all 20 organizations made their pitches, the sharks selected the organizations they wished to fund. Once the reveal was made, students and sharks enjoyed a networking reception. Every organization received funding. “The students were thrilled. They told me they felt like the sharks were genuinely interested in what their organizations want to accomplish. It will provide a lot of momentum for them,” said Sayre. The next Shark Tank Student Organization Competition is slated to be held in September 2019. For full results of this year’s competition, see the graphic below.